Sherrill Furniture Reviews - Honest U.S. Craftsmanship! 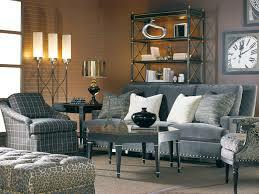 High quality furniture is a must for most homeowners. The difference between a cheaply built set and hand made quality is really noticeable. The furniture marketed is more crowded than it’s ever been, so it’s difficult to separate the quality from the rest. Thankfully after reading this Sherrill furniture reviews guide you will learn that there still is quality furniture being produced in the United States! Sherrill believe in producing consistent quality in all of their products. They have a long history and since their founding in 1944 it’s been their mission to be recognised for their premium products. Their goal was to achieve excellence in fashion, style and quality, bringing all the benefits that go with that directly to the customer. Sherrill are an American company operating from North Carolina. While other furniture companies have chosen to export their production overseas, Sherrill have kept their manufacturing on U.S soil. This is to keep a close eye on the production and ensure that the quality remains high. 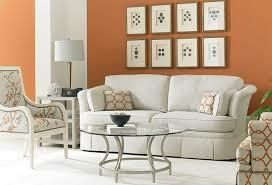 Another NC based furniture company that we recently reviewed is Huntington House Furniture! With a skilled workforce and the latest techniques, Sherrill has brought traditional craftsmanship into the modern era by combining tradition with innovation. The result is a diverse selection of impressive product lines that add value to the home. Sherrill are specialists in upholstered furniture and produce units for the whole home including the living room, dining room and elsewhere. In each of their units they show that they understand and appreciate what comfort means to the individual on a daily basis. In a busy world we all need room to escape and Sherrill facilitate that. The choice offered by Sherrill is varied. There are sofas, chairs, loveseats, dining chairs, chaise longue and the list goes on. Of course what you’re choosing will depend on your personal preference but be sure to check out all the options before purchase. For each item there are a number of different options to choose from. Firstly the wood used. Different woods give distinctive looks and feels to the furniture and they alter drastically from type to type. You can find a dark wood or lighter varieties, each with unique texturing and features. If you love the wood look, Kincaid has some of the best wood pieces in the market! To go along with the wood there is often a choice of finish. Finishes are applied to the wood to help bring out the natural colouring, or in some cases make it lighter or darker. A finish also does the job of protecting the wood from any impacts of daily life. If you like different colors involving wood finishing, then Stanley furniture has some great wood colors. There are a number of different fabrics to choose from and these vary both in colour, density and texture. Different fabrics offer very different feels and can change how your finished product turns out. It’s always worth exploring the options to find the best fit. For a number of items you also have the leather option. Leather is more durable and can be soft or hard depending on the style. 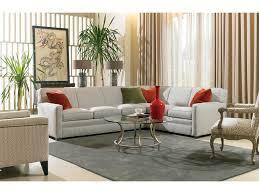 Leather has the added benefit of a distinct and classic look which makes all furniture look elegant. If you can afford to upgrade to leather you always should. That being said, if you are looking for durability, then Huntington House Furniture uses hardwood for their pieces. Alongside the individual pieces, Sherrill offers full product collections. These collections contain a number of different pieces which compliment each other and are specially designed so you can fit out a room. Each individual collection uses unique colouring and wood types to give a particular style. These are perfect for people who want to transform a room into a stylish and more practical place. Sherrill offer a great deal of choice in their product lines. There are a number of different qualities you can select for each item and you get to keep control of the design process. Each item has it’s own unique style and the brand in itself is one of the most elegant and sophisticated across the board. Sherrill have made a name for themselves for the quality put into each of their products. This begins at the design level where experts in the industry decide which elements will work in the furniture. The long history plays a significant role here and allows them to make informed decisions based on their knowledge. The most important part of Sherill is the materials used. They are meticulous about where they source all the different products used in the manufacturing process, using only reliable and consistent providers. This ensures a solid build from the start. The skilled workforce then puts these materials into action, using specialist techniques on every section. Some of the best frames in the industry are produced by Sherrill. These are handcrafted and made by incorporating traditional techniques with modern innovation. This allows for an even better and more durable frame that can withstand the stresses of use. By using clinch fasteners the web is attached to strings of various gauges and heights. These are secured to the frame. This means a very sturdy and high performance base to the chairs and furniture produced. Sherrill insist on using an 8 way tied spring system in their furniture. This takes extra work to put in but is definitely worth it. It provides unparalleled support in the unit and ensures that it will last much longer than traditional springs. Double dowelling is used on all structural parts and joints in Sherrill construction. This adds a lot to the quality of production and ensure that every piece of the furniture is durable and resilient. Every single unit is handcrafted by skilled craftsmen. This combined with the quality materials and modern techniques means a consistently high quality construction value which can be seen across their product range. The end result is furniture that you can trust to do the job now and in years to come. Sherrill stand behind their products by offering a 5 year warranty on their furniture. This warranty covers all workmanship and material defects. There are numerous accounts of Sherrill standing by their warranty and issuing replacements or repairs where required. “I had a Sherrill sofa for 18 years. It was my main seating during my apartment years and into my first home. I always had compliments on it. I would buy another one in a heart beat.” - Stanley Y. “ I purchased a sofa and chair (as is) that was sold to me as down-filled, but it is all feather and they have poded out by the dozens since day one. They call their feather filling "comfort down". 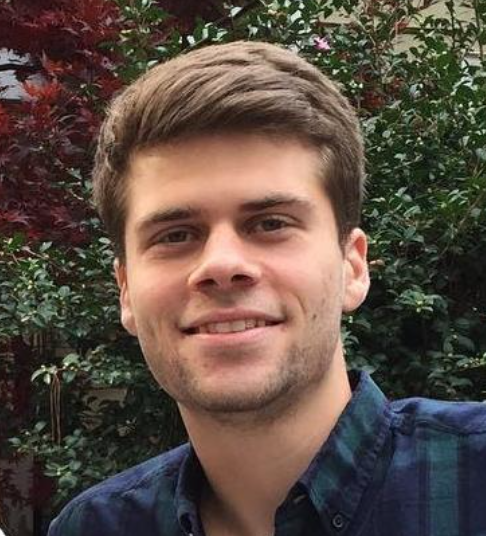 Seems like just deception to me.” - Danny E.
Despite these isolated reports of problems there really isn’t much bad to be said about Sherrill. They’re one of the more expensive providers out there but the quality seems to be there consistently. Sherrill have done well to establish themselves as one of the most reliable and trustworthy brands operating. It’s not just that they are providing great styles of furniture but it’s also functions well and is suitable for a range of different homes. Sherrill quality is also very impressive. They take a lot of pride in what they do and the handmade feel to their products is very obvious. The materials used and techniques all mean that Sherrill furniture is very sturdy, plus they seem to be regularly taking steps to evaluate processes and improve upon what they’re doing. Overall Sherrill are one of the more expensive brands for furniture but you get what you pay for. If you are looking for another luxury piece that is the best of the best you should take a look at the Eames Lounge Chair as well!In the long run the investment will most likely pay off as you won’t need to replace the furniture for a long time. Sherrill are definitely one to look at if you’re after some good quality furniture that adds value to your home.